In 21st century America, business moves fast. To stay competitive, you need to move just as fast, if not faster. That means when you outsource your Salesforce development, you need to make sure you’re partnered with the right organization — an organization that has the experience you need to provide customized Salesforce development, the speed you require for quick Salesforce implementation to get your capabilities online fast, and the customer service you depend on when a question or problem arises. 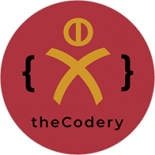 No matter the size of your customer base or the age of your company, theCodery can help. With more than 50 combined years of experience among its partners, we provide a host of Salesforce development, Salesforce implementation and Salesforce consulting services. From full custom development to ISV Product Management, to Sales / Service / Health / Community Cloud implementations, we bring the varied expertise that businesses require to successfully implement all facets of Salesforce projects. Need Salesforce customized according to the specific needs of your business? We can do that. Need a customized app configured for your company through the Salesforce ecosystem? No problem. We are technical experts on all facets of the Salesforce platform: lightning, apex, and declarative development. We bring the best practices, standards, and patterns to your Salesforce implementation or product development needs. 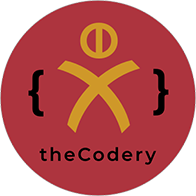 It’s one thing to build an application, it’s another and entirely needed element to a scalable, performant, and easy to maintain Salesforce solution that theCodery delivers. CEO Rob Jacques, COO Josh LeQuire, CTO Sebastian Kessel and the rest of our team have been committed to solving the tough issues since the beginning. You can catch us soon as founders of NorCal Dreamin. We’re four-time presenters at Dreamforce, we possess 15 combined Salesforce Certified Expert Credentials, and have two certified Scrum Masters and one certified scrum Product Owner. Ready to receive the results you need in record time? Contact us online or by phone today to schedule a consultation. ©theCodery® - Do not copy. All rights reserved.